The dress is from m and s and comes in a set with the matching blue tights. Rosalie’s Navy buckle up shoes are from start right. They are starting to look a little worse for wear now but have lasted her really well. 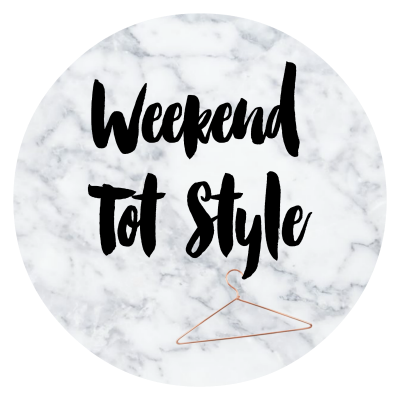 If you’d like to join in with this week’s weekend tot style take a look at Sarah’s blog, This mama life. Adorable! Aren't baby tights the best? How adorable. I love the colour of those tights. Thank you Emma! It's is good but it's tough when you want to buy it ALL! !